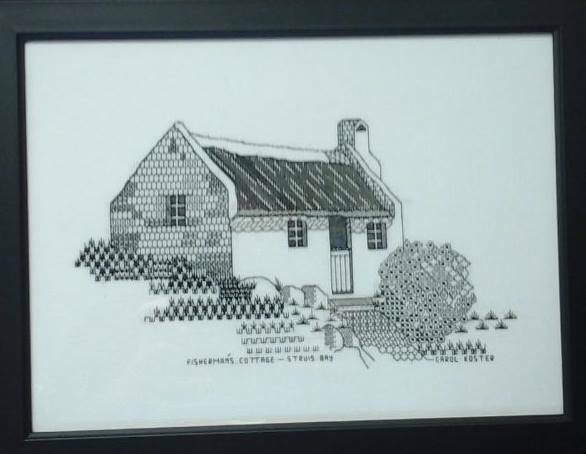 Carol Koster, expert embroidery artist in black Spanish "Jacobean" technique. 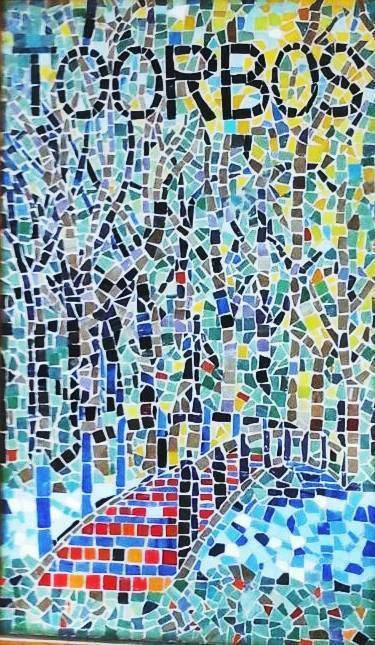 Also very talented artist in mosaic and have done specialised commission works. 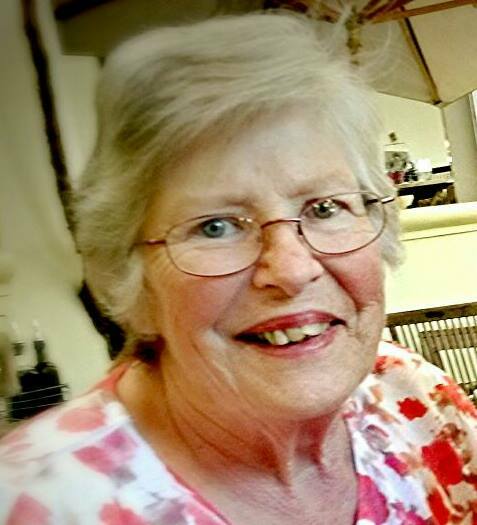 Having been a crafter for many years, in 2000 I decided I needed something new in my life. 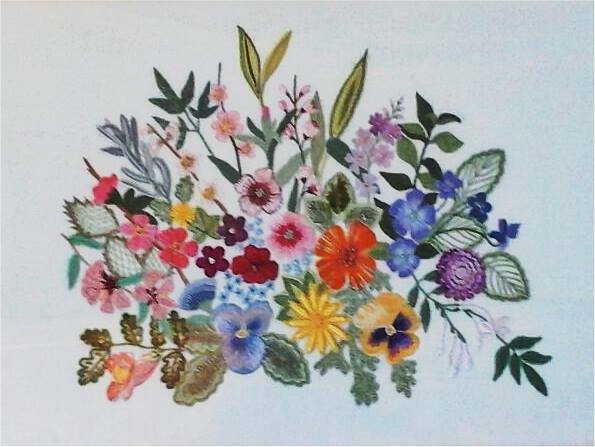 I found a course in embroidery offered by Studio Ezanne and entered into a new phase of my life. 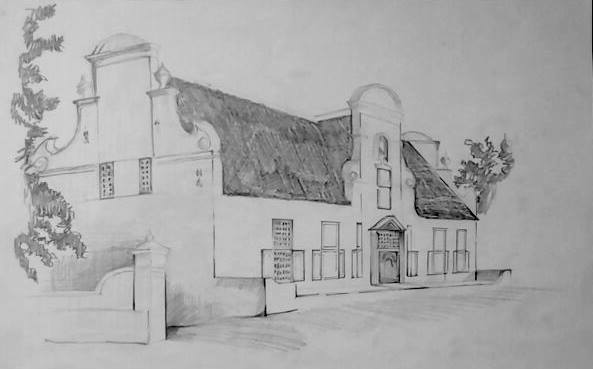 After I completed courses in Crewel (Jacobean) and Spanish Black Work we retired to Greatbrak River. Here I started teaching embroidery from home, which necessitated doing my own original designs to teach from. I found this extremely stimulating and discovered hidden talent leading to more original and complex designs. The Crewel designs were relatively easy to do by myself, but as I progressed I needed some extra expertise. 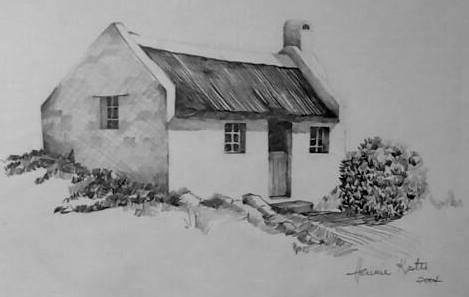 I am very lucky to be married to an accomplished artist that understood what I was trying to achieve and who helped me with the basic perspective of the designs. From there it was a matter of designing stitch by stitch as I sewed to get the effect I wanted. 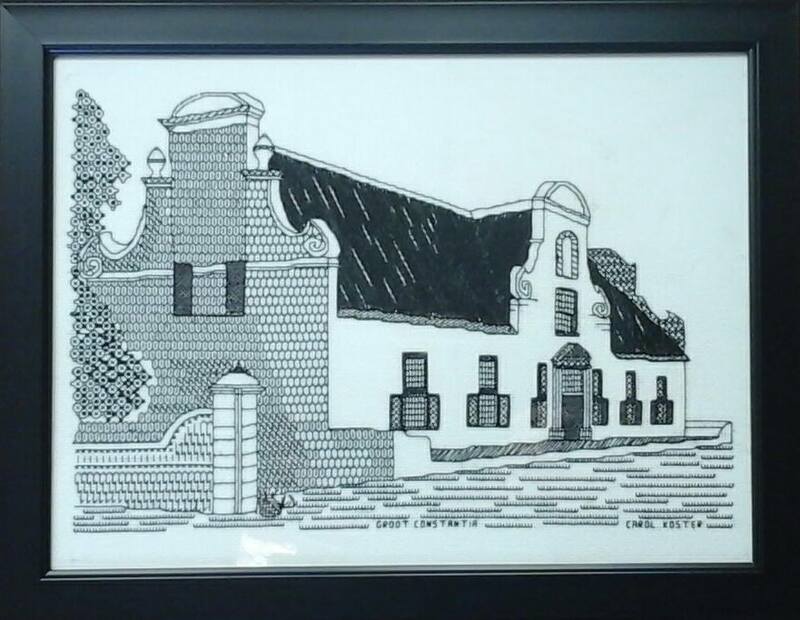 With the design of the South African architecture pictures I specifically wanted to enhance the standard black work with a 3 dimensional effect using different stitches. 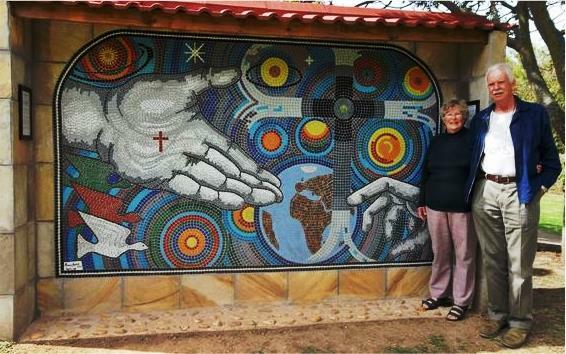 I have also kept busy with mosaic work and assisted my husband Hennie in creating the wall of remembrance at the Searle Memorial Church in Greatbrak. The church hall also has a permanent exhibition done by the members with the theme "We are the hands and feet of Christ" of which "The story of a family" is part.